A child prodigy, Held is best known for his archetypical flapper illustrations of the 1920s. His work appeared in Life Magazine and The New Yorker. He authored and illustrated several books and later turned to sculpture. One of Westport’s earliest and most famous artists, he received a Westport Heritage Award in Visual Arts in 2003. 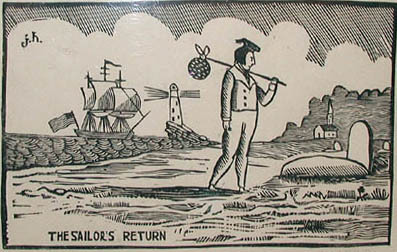 Held, John Jr., “The Sailor’s Return,” Westport Public Schools Digital Collections, accessed April 25, 2019, https://collections.westportps.org/items/show/553.